The decision in March 2018 by Commerce Department Secretary Ross to add a citizenship question to the 2020 Census triggered several lawsuits that are coming to a head this winter. Earlier this month, a federal judge in New York ruled against inclusion of the citizenship question, writing, “Secretary Ross’s decision to add a citizenship question to the 2020 census — even if it did not violate the Constitution itself — was unlawful for a multitude of independent reasons and must be set aside.” The 277-page decision came in a case brought by two groups of plaintiffs: a coalition of states, cities, and counties led by New York State and a group of civil and immigrant rights organizations. A separate lawsuit filed in California is concluding its trial phase this month. A third trial commenced last week in Maryland alleging the citizenship question was added by the Trump Administration "to further the unconstitutional goal of diluting the political power of non-white immigrant communities." The Trump Administration is trying to skip review by the Court of Appeals and is seeking immediate review by the U.S. Supreme Court of the trial court’s decision to exclude the citizenship question, claiming that the government must start printing the census questionnaires by the end of June. Many nonprofits oppose inclusion of a citizenship question on the 2020 Census questionnaire because of the likelihood that, among other things, it will suppress participation and lead to an unfair, inaccurate, and incomplete count. Information from the 2020 Census, mandated by the enumeration clause of the U.S. Constitution, is critical because it will determine apportionment of representatives among the states, the numbers for state and local governments to use for their redistricting, and how hundreds of billions of federal dollars are allocated to states and localities for key programs, many of which are administered through charitable organizations. Undercounts of individuals and demographic groups that charitable nonprofits serve can lead to inadequate representation and funding, which in turn put more pressure on nonprofits and foundations, state and local governments, and businesses in undercounted areas to do even more to address unmet needs. Read more at 2020 Census resources page. Parking Tax Preliminary Guidance: Preliminary guidance issued by the Internal Revenue Service in December (Notice 2018-99) proposed to clarify when nonprofits must pay a 21 percent unrelated business income tax on employer expenses related to employee parking. The notice, which is subject to public comment, instructs organizations to apply a complicated four-step calculus for putting a value on taxable parking spaces. A separate notice (Notice 2018-100) allows for tax penalty waivers for nonprofits that failed to submit quarterly estimated tax payments on those transportation benefits. The IRS has given no guidance or relief for the application of the tax on other transportation benefits, such as subway or bus passes. Nonprofits affected by the income tax on parking expenses are invited to submit comments to the IRS by February 22. Tax for Highly Compensated Employees: The Internal Revenue Service published a 96-page notice (Notice 2019-09) this month explaining when nonprofit employers must pay the new 21 percent tax on annual compensation in excess of $1 million for their highest-paid staff. The preliminary guidance clarifies that (1) nonprofits should use the calendar year ending within the nonprofits' fiscal year to calculate the tax; and (2) nonprofits generally will not be able to avoid the tax by splitting highly-compensated employees' pay between multiple related organizations, among other things. The IRS is accepting comments from the public through April 2. The American Alliance of Museums launched a national initiative for diversity, equity, accessibility, and inclusion for museum boards and leadership on January 15. The three-year, $4 million-dollar campaign is designed to be a catalyst for change in the makeup of museum boards that have been found to be significantly white-lead. Fifty museums are committing to work to improve the makeup of leadership while developing resources for all museums, and potentially all nonprofits. “We’ve strategically built this initiative so that it will inform the nonprofit sector over all,” said Laura Lott, Chief Executive of the Alliance. “The effort to build community is strengthened when diversity, equity, and inclusion are fully realized within institutional leadership, and this initiative provides the tools and resources necessary to do so,” according to Alice Walton, philanthropist and founder of the Alice L. Walton Foundation, who, along with The Andrew W. Mellon Foundation and Ford Foundation, are funding the program. In addition to income tax laws, legislative agendas across the country are loaded with bills altering state sales taxes to take advantage of the U.S. Supreme Court’s South Dakota v. Wayfair decision. Reversing decades of precedent, the decision makes clear that states have the power to impose taxes on entities beyond their borders, meaning that states that alter their tax laws can collect sales taxes for online purchases of goods and services from sellers without a physical presence in the state. About half of the states already have taken legislative or regulatory action to tap into the billions of dollars in new revenue that the new taxing authority makes available, and new bills are under active consideration this year in more than a dozen states (so far). The Wayfair decision could have significant implications for charitable nonprofits that buy or sell online. Nonprofits could also lose out in upcoming state tax reform legislation as states seek to adjust their laws to take full advantage of their newly recognized powers. States currently are not consistent in whether some or all nonprofits are exempt from sales taxes as purchasers and as sellers. As a result, the immediate impact of the decision is confusion about when, where, and how nonprofits should be paying and/or charging sales taxes. Legislatures that open up their sales tax laws for reforms can – whether intentionally or inadvertently – impose taxes on previously exempt nonprofits, as happened in Kentucky. Learn more about state efforts to avail themselves of the Wayfair windfall in our new analysis. Whether in response to the federal tax law or a growing hostility and misunderstanding of the purpose of endowments, the concept of giving to nonprofit endowments is under review is some states this year. While one bill in Montana seeks to extend the Charitable Endowment Tax Credit for another six years (through 2025), separate legislation would go the other way by repealing several of Montana’s tax credits, including the one that promotes giving to nonprofit endowments and university and college foundations. A measure in North Dakota would significantly undermine the state’s endowment tax credit by reducing the cap on the tax credit from $5,000 to $500, while expanding it to apply to donations to qualified nonprofit organizations. Lawmakers in the state are also considering a plan to change several existing state tax credits into deductions, including the endowment and planned gift tax credit. According to the North Dakota Association of Nonprofit Organizations, the current tax credit “builds communities and enriches the lives of North Dakotans by supporting the work of the state’s charitable nonprofit organizations.” In Missouri, a new bill seeks to target certain nonprofit university endowments by imposing a 1.9 percent tax on the aggregate fair market value of assets, potentially penalizing nonprofits for building reserves to maintain operations into the future. The trend of lawmakers questioning or misinterpreting nonprofit tax exemptions for hospitals continues in 2019 as reflected in legislation introduced in several states. An Indiana bill would restrict the tax exemption for a nonprofit hospital’s outpatient facilities only to those that are located in the same county as the inpatient facility that is exempt from property taxes. In Nebraska, legislation would impose two new restrictions on nonprofit hospitals. First, they would be required to grant use of their facilities to any local licensed medical practitioners, and not just their employees, in order to remain eligible for property-tax exemption. Next, the value of the exemption would be limited proportionally to the percentage of the services that are provided gratuitously. A freshman legislator in Rhode Island is attempting to circumvent the state’s property-tax exemption with a bill to impose a municipal payment, or fee, equal to 65 percent of property taxes on a nonprofit hospital that has converted from a for-profit hospital to a nonprofit hospital. Finally, a New Mexico sales-tax reform bill would preserve the charitable nonprofit exemption from the state’s gross-receipts tax, but partially remove nonprofit hospitals from the exemption. This bi-weekly newsletter on public policy issues affecting nonprofits is provided as a benefit of membership in Michigan Nonprofit Association, part of the state association network of the National Council of Nonprofits. 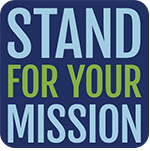 Stand for Your Mission Award, BoardSource, recognizing nonprofit boards that have established advocacy as an expectation for engaged and effective leadership. Deadline for applications is February 1, 2019, for the $5,000 award to a nonprofit board helping the organization realize its mission through advocacy. Nominate a deserving nonprofit today. ~ Lee Sherman, President and CEO, National Human Services Assembly, writing in the organization’s letter to the President and congressional leaders, January 24, 2019. ~ David J. Skorton, Secretary of the Smithsonian Institution, writing in How the shutdown harms our great cultural institutions, USA Today, January 22, 2019. ~ Jon Pratt of the Minnesota Council of Nonprofits, quoted in Minneapolis Star Tribune, January 19, 2019, explaining that notwithstanding the good news that Twin Cities nonprofits have initially reported no apparent drop in donations during the first year of tax changes, the full effects of the changes to federal tax law on donor behavior cannot be understood after only one giving season. A Better Count, Mike Maciag, Governing, January 2019, chronicling efforts by nonprofits and others to promote a fair, accurate, and complete 2020 census count. Why Funding Overhead Is Not the Real Issue: The Case to Cover Full Costs, Nonprofit Quarterly, January 24, 2019. During Shutdown, Mayors Show What Bipartisanship Looks Like, J. Brian Charles and Graham Vyse, Governing, January 23, 2019. The Effects of 2019 Tax-Policy Decisions Will Linger for Decades. It’s Time to Weigh In., Tim Delaney and David L. Thompson, Chronicle of Philanthropy, January 14, 2019. Toward a State of Conformity: State Tax Codes a Year After Federal Tax Reform, Jared Walczak, Tax Foundation, January 28, 2019. Ensuring a fair and accurate count of all Alaskans in the 2020 U.S. Census, town hall hosted by Foraker Group, Juneau, Alaska, January 24, 2019, for legislators, nonprofits, and members of the public to discuss the importance of a fair, accurate, and complete census count. The number of states (so far) with bills pending in their legislatures that seek to adjust state tax laws to conform to or decouple from the 2017 federal Tax Cuts and Jobs Act. The National Council of Nonprofits predicts that by the end of 2019 every state will have modified its statutes in response to the federal changes, and warns that nonprofits must remain vigilant to ensure state tax laws advance and not hinder nonprofit missions. Source: National Council of Nonprofits. Recognizing that nonprofit staff and board members don't need to sit on the sidelines of public policy decision-making, this webinar focuses on how to pipeline leaders of the nonprofit sector who are ready to run for office, including addressing what nonpartisan programs are available to assist and develop emerging candidates and propel them to success. Register now! Sign up for the AdMat Minute, a brief podcast summarizing the headlines and need-to-know items in each edition of Nonprofit Advocacy Matters (nicknamed “AdMat”). Listen to the latest AdMat Minute. Then, subscribe via the music service of your choice.